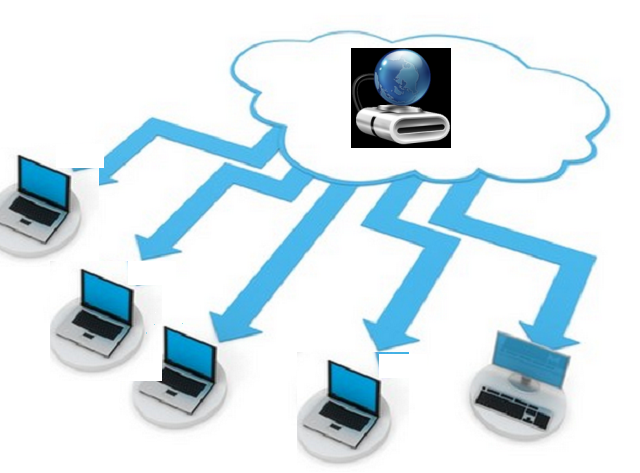 Network drive is nothing but a storage device located on a server which can be accessed by multiple devices. It is a shared folder, which you can access from your File Explorer like other hard drives exist on your computer. To map a external drive to a network you need to create a shortcut of shared folder to access resource available on it. This shortcut creation procedure is named as mapping a network drive. Once you create a shortcut, it will show up under This PC. How to Map a Network Drive on Windows 10? There are different methods to Map Network Drive on Windows 10. Below we have listed 2 quick ways to map network drive on Windows 10. You can either use Map Network Drive wizard or command prompt to map a network drive. You can select Reconnect at sign-in check box, if you want to reconnect the folder when you sign in. To connect this network location using different credentials, select Connect using different credentials check box and when asked, enter necessary permits. Now go to This PC and under Network Location, you will be able to see the drive. If you want to disconnect it, right click on that and select Disconnect option. Specify required username and password. These two commands will map a network drive. But, after restarting the computer, they will be removed. Here we have shown you quick ways to map network drive on Windows 10. In other Windows OS, similar procedure should be carried out. But, procedure to access Map Network Drive wizard may vary. Make sure you follow these steps carefully and commands used are correct. Any small mistake can make your drive – internal drive and external drive (network drive) inaccessible. Losing data from this network drive may halt not only your work, even others who are using the shared network drive. Remo Hard Drive Recovery software to recover lost partitions from your external drive that is shared on a network and also internal drive in few steps. However, why take such risk! You can avoid such issues by taking regular backups. Also, make sure you have an updated backup copy before performing any major actions like mapping the external drive to network, formatting etc.